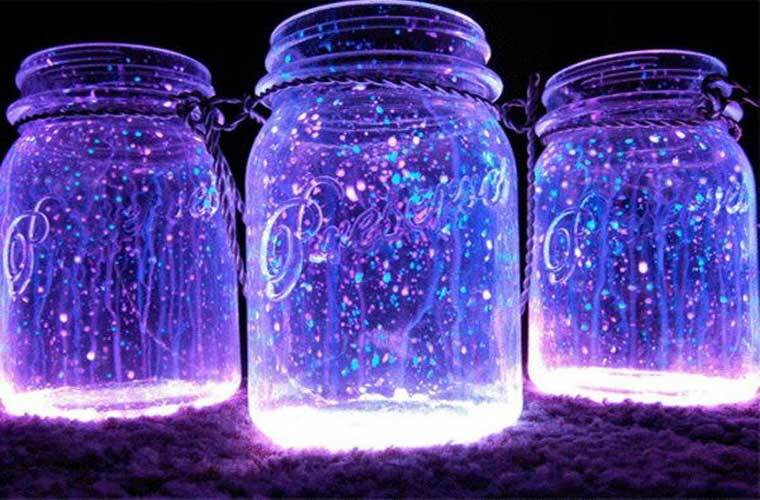 If you are looking for some enchanting decoration in your room, the ones that you can enjoy staring while in bed, then you should try this fairy glow jar. Fairy glow jars provide a colorful firefly effect in a jar as if having a magical world enclosed in a jar. Just pure lovely! This one’s very easy to make. Other methods would require you glow sticks, with light that fades off easily, but this one features the use of fabric paint in an acetate for a longer and lasting colorful glows. You will need the following: clear jar (any size will do), glow in the dark fabric paint (your choice of color) and an acetate. Just surround the acetate with different sizes of dots using your choice of fabric paint. Using acetate is much easier than directly putting the dots in the jar. You can just simply roll the acetate, depending on the space inside the jar, and replace it every now and then or just layer another one to create a beautiful display of assorted glowing colors. Your room will now be lovelier than ever before, and that’s thanks to these fairy glow jars. Try it too!